Home » Entertainment » Westworld’s Ben Barnes Kissed Fellow Star, Is He Gay Or Has Girlfriend/Wife? 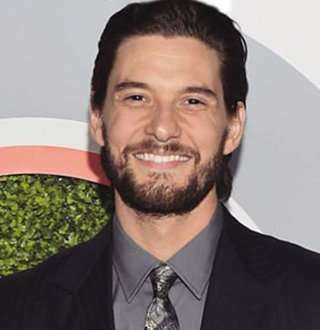 British actor Ben Barnes seemed unbothered with his overboard-support for the gay community- which added another assumption about him being gay. The London-native is mainly known for his roles as Prince Caspian in The Chronicles of Narnia movie series, Billy Russo on The Punisher, and Logan Delos on Westworld. He inspired his accent in Chronicles of Narnia after American actor Mandy Patinkin’s character Inigo Montoya from The Princess Bride movie. On 20 August 1981, Benjamin Thomas Barnes was born to parents, Tricia and Thomas Barnes in London, England. He was raised alongside his younger brother, Jack Barnes. The 37-year-old actor later studied drama and English literature at Kingston University, where he eventually graduated with BA Honours in 2004. Barnes stands at the height of 6'1" inch (1.86 m). Ben made his major film debut in 2008 playing the epic role of Prince Caspian in the American high fantasy film, The Chronicles of Narnia: Prince Caspian, adapted from the self-titled novel. Having had read the novel as a child, he spent two months in New Zealand on horse riding and stunt training to prepare for the shooting. The director of the movie, Andrew Adamson hadn’t expected a British actor to play Caspian and was surprised to see that Barnes fitted well with fellow actors: Georgie Henley, William Moseley, Skandar Keynes, and Anna Popplewell. The film shows the four Pevensie children as they return to Narnia to aid Prince Caspian in his struggle for the throne against his corrupt uncle, King Miraz. The British actor played the role in such a passionate way that gained him much more attention and movie offers. Does Ben Barnes Have Girlfriend Or Possibly, Wife? Ben Barnes isn’t too open about talking about his love life, probably because people are too busy assuming his sexuality. But there have been several rumors on his possible love-interests, including actresses such as Tamsin Egerton and Felicity Jones. Well, Felicity Jones should be out of the topic as she’s already married to film director, Charles Guard. As for Tamsin Egerton, the rumors between them sparked around 2009 when he spent time with her in Australia. There had been talks about the two having dated a couple of times, but their speculated relationship also turned out to be just another ‘we’re just friends’ banality. Since then, Barnes hasn’t been seen with anyone else that could lead to any tittle-tattles about his dating life. Ben Barnes Kissed American Actor Ben Chaplin, Does That Make Him Gay? From portraying many gay roles in various series and movies to kissing on-screen, on top of that, the lifeless dating profile Ben had professed have made fans question whether he is actually gay in real life as well. In the fantasy movie, Dorian Gray, he played a gay persona quite well exhibiting a kiss with British actor Ben Chaplin. Putting Dorian Gray aside, Barnes has played a gay character in the fictional television series, Westworld. Adding to that, the onscreen bisexual is a proud supporter of LGBT/ Gay community as well. However, it can't be speculated that he might be gay just because he kissed a guy. Only the actor himself can reveal what exactly the truth is! As of now, it’s safe to assume that he isn’t going to reveal anything regarding his dating life, let alone his possible wife-to-be or partner any soon.